…Is also is connected to several other businesses run from a home in Milwaukee. 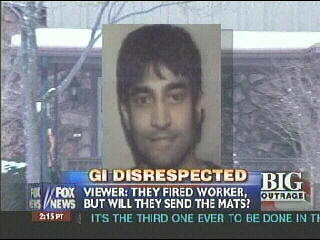 Miss Underestimated has the FOX News report on the “Bargain Mats” story. Faisal has also written articles on Muscle-Building, Fat Burning and Killer Offensive Basketball Formation. And, that is not all! 1. Owned by Muslim men in their mid-20s, who live in the Milwaukee area. 2. Inter-connected and inter-linked to one another. 4. Share same website template. There are no businesses with the name Discount Mats or Bargain Suppliers (or any variation thereof) registered in the state of Wisconsin. A search of the worker’s compensation database shows no company by those names either. It is not a legitimate business, nor does it have employees. Faisal Khetani is not telling the truth – that makes him suspect. You must read it all at Euphoric Reality. The Milwaukee Journal Sentinel reported more on the story but does not investigate the story much further than the initial reports.